Imagine meeting your future life partner only once before your wedding day. It may sound imprudent, even insane. But, for my parents and some other Buzz residents of Indian backgrounds, this was simply their reality. “Is marriage the culmination of romance or the beginning of romance?” My dad, Atul Salhotra, posed this question when I started probing him on the details of his arranged marriage. “I debated this topic and won when I was in graduate school,” he added, rather proudly. You can probably guess that my dad believes that marriage is just the first step in getting to know and fall in love with your life partner. “I think love grows,” my dad said. 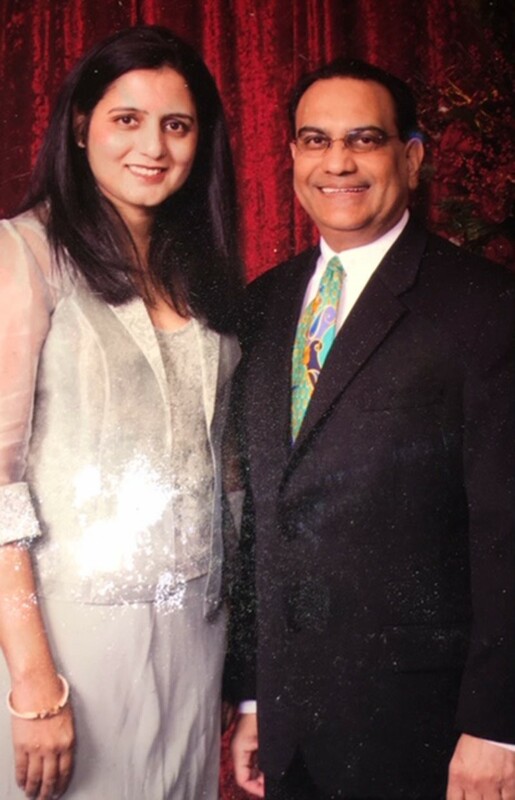 My dad was almost done with his PhD at MIT in the late '80s when his parents — from all the way in India — began pressuring him to find a wife. Once he landed an engineering job in California, his parents came to visit him for a three-month period, during which they placed a matrimonial ad in India Abroad, a weekly publication targeted towards Indian-Americans. Meanwhile, my mom, Poonam, was across the country in New York City, completing her own PhD at Weill Cornell Medical School. She too was facing marital pressure from her parents, who also placed a matrimonial ad for their daughter in the same newspaper. (This newspaper is still around today, and you can find samples of matrimonial ads here). “My mom would actually look through the ads and circle the ones she thought were good,” my mom told me. Unbeknownst to my mom, her parents responded to my dad’s parents’ ad in the paper. So, in the spring of 1987, my dad trekked all the way to Buffalo to meet my mom for the first time. “I had gotten a letter from my parents saying to go meet this girl,” my dad said. In the tiny town of Gowanda in upstate New York where my mom grew up, my dad spent the day with my mom and her family. They ate lunch together, went to the local Indian grocery store and watched a Bollywood movie. But, over the course of the day, the future couple spent zero alone-time together. Though my mom soon forgot about this meeting — she said many of these initial meetings led nowhere — my mom’s family received a letter from my dad’s parents a few months later. The letter indicated his parents were interested in meeting her parents. So, in June of the same year, my dad again traveled across the country, while his parents traveled from India, to meet my mom and her parents in my mom’s tiny NYC apartment. After some back-and-forth between the parents, it was soon decided that Atul and Poonam would get married. My parents consented to the marriage, but neither was thrilled about it either. How could they be? They hardly knew each other. “I was kind of indifferent,” my mom said. “He seemed like a good person, I was excited about MIT.” How romantic, I think. 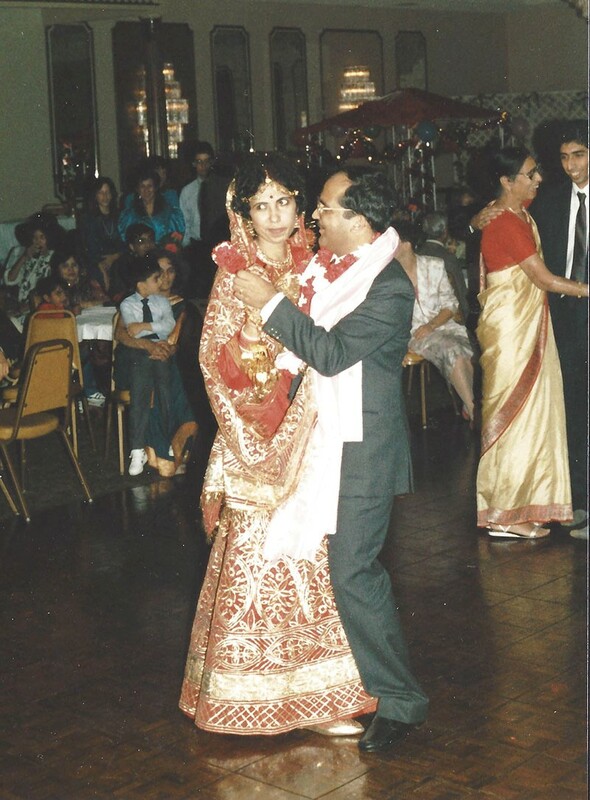 Although my mom wanted to hold off on the wedding until the following May, when she would graduate, my dad’s family wanted it done earlier in order to avoid repeated travel between India and the U.S. My mom ultimately agreed to an October wedding date, and wedding preparations soon began. All the while, my mom was waiting for her diamond ring. “There’s the American side of me saying, ‘I need a diamond ring,’” my mom said. “And he’s like, ‘just go pick something out.’” Even now, my mom jokes that she had to go get her own ring. 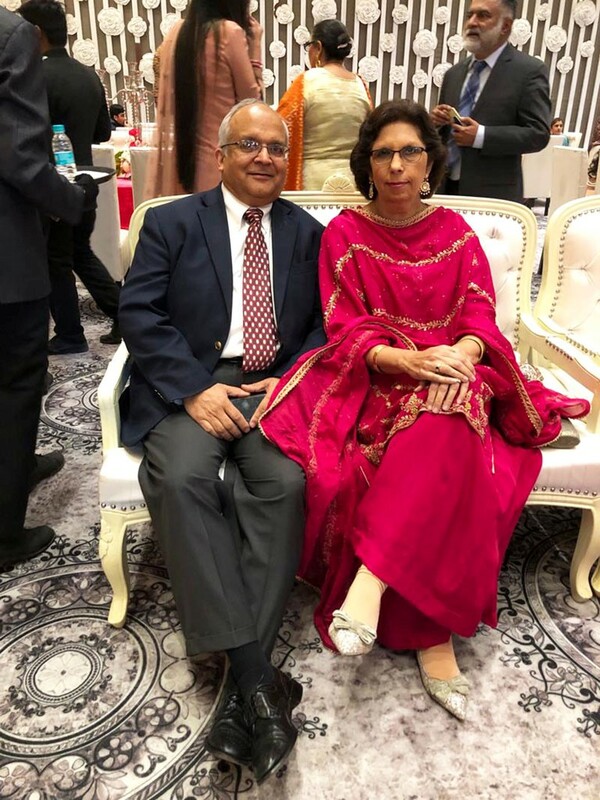 Even though my parents had to spend the first several months of marriage getting to know each other’s quirks – what bothered the other and what they would compromise on - my parents agree that the arranged marriage system is a good one. Both emphasized the benefit of having your parents, who ultimately care deeply about your well-being, search for your potential life partner. Rakesh and Seema Mangal were married in India in July 1997, after meeting through family friends. The more I heard about the arranged marriage concept, the more it reminded me of today’s world of dating apps (albeit an archaic version). Instead of having our parents or family-friends filter through profiles and conduct background research on potential matches, we now do this for ourselves – reading through our match’s profiles on our phones and stalking our potential dates on social media. 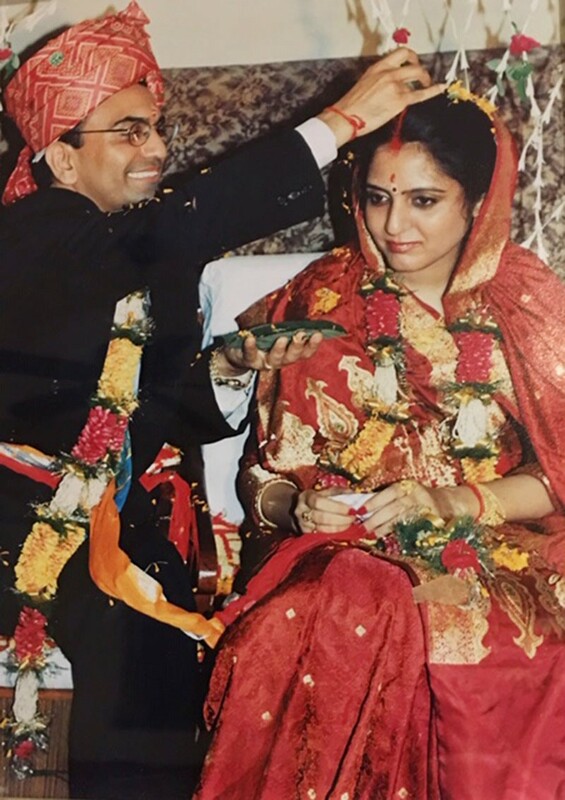 For Rakesh, arranged marriage allowed him, a doctor living in Louisiana, to connect with a teacher living in Calcutta, India in 1997. Like my parents, Rakesh felt significant parental pressure to get married. Though Rakesh wanted to please his parents and stay connected to his roots by marrying a woman from India, he was determined to first finish residency. But once residency was finished, he wanted to complete his fellowship in Ob/Gyn, followed by another fellowship in surgery. At that point, his mother was worried about her son’s marital future. While they were attending a friend’s Indian function in Mississippi - where Rakesh grew up - his mother approached a priest about Rakesh’s situation. The priest, who read Rakesh’s palm and offered predictions based on astrology, said that Rakesh was a “Shani,” an astrological sign associated with the planet Saturn. According to Hindu tradition, each day of the week is associated with a planet and a God. Saturday is associated with Saturn as well as with the God Hanuman, the God of strength. According to the priest, Rakesh would need to fast for three consecutive Saturdays after which he would meet his future wife. “I said yeah, right,” Rakesh remembered. “But I said I’d go along with my mom.” So, Rakesh, though skeptical, obliged and fasted for the next three Saturdays, even while on a vacation in East Asia with his friends for two out of the three Saturdays. Seema and Rakesh Mangal met through family-friends and decided to get married after meeting in person and talking on the phone every day for months. Sure enough, the Tuesday after his last fast, Rakesh found his soulmate. Having just returned from his two-week vacation, Rakesh went to check his mailbox. Unsurprisingly, his mailbox was stuffed with envelopes with photographs of potential matches, sent by his parents, extended family and family-friends. While pulling out the envelopes, one fell to the ground. In a hurry to get to work, Rakesh stuffed all the envelopes back in the mailbox, except the one that had fallen on the floor. When he opened it, Rakesh first saw a statue of the lord Hanuman – this shocked Rakesh, since Tuesday is also associated with this God. And in front of the statue was a beautiful woman, Seema. Rakesh and Seema began talking on the phone and finally had a chance to meet about three months later when Rakesh travelled to India. Both said they were struck by how easy conversation was. After meeting, both Seema and Rakesh were ready to say “I do,” but they wanted to move slowly through the process. The two continued to talk on the phone for several months, with Rakesh spending $1.50 per minute to make the long-distance phone call from Louisiana. Finally, on July 4, he proposed to Seema over the phone. “I said how about it, and she said yes. Or actually she said okay,” Rakesh corrected himself, chuckling. Within 10 days of the proposal, Rakesh and Seema got married in India. But because of complications with Seema’s visa, they spent the next 12 months in two different countries. During that time, the couple had three separate honeymoons: one in India, when they stayed in a hotel facing the Taj Mahal, one in France, when they stayed at a Hilton with views of the Eiffel Tower and one in Switzerland. “It was actually the best thing that happened because it gave us a chance to get to know each other,” Seema said of the visa delays. Although Seema and Rakesh had autonomy over their marriage decision, they still consider it “arranged” and say the system can work well if done correctly. “I think [arranged marriage] is not bad if you don’t force it,” Seema added. 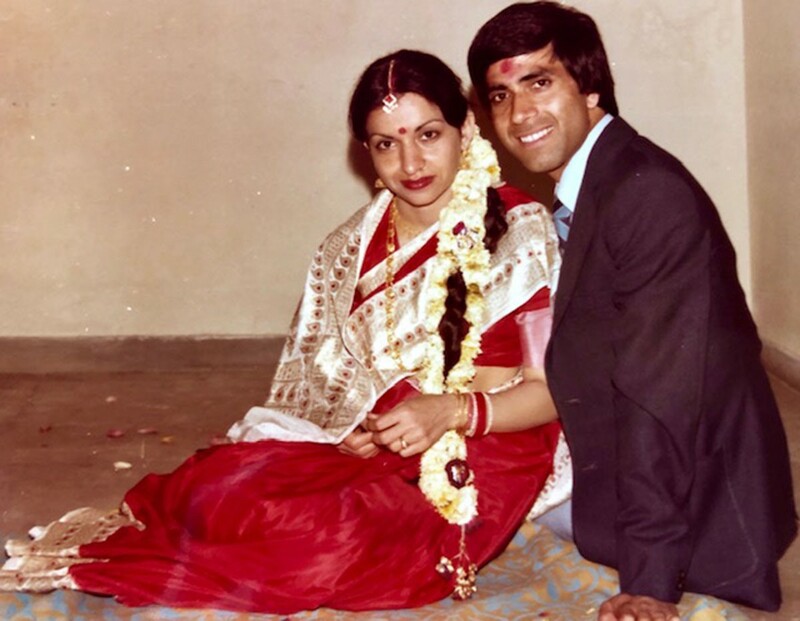 Reeta Mehta, who first turned down Kapil when he expressed interest in her, married Kapil in 1981. Reeta Mehta, another Buzz resident who married in India, agrees, even though she opted for a “love marriage” herself. Reeta met her husband, Kapil, a fellow student in her PhD program in India in the late ’70s. She had spent years ignoring requests from her mom to have an arranged marriage. Her mom had previously invited potential matches over to the house. Reeta recalls having to serve tea to those men and their families and being expected to act in a particular way. But she didn’t like this expectation. She wanted to find her husband herself. “I was a feminist even back then,” Reeta said. Reeta and Kapil dated for several months while they were students, before they decided to get married. Still, Reeta said she thinks today’s dating culture, where people often date for years before thinking about marriage, can present complications. 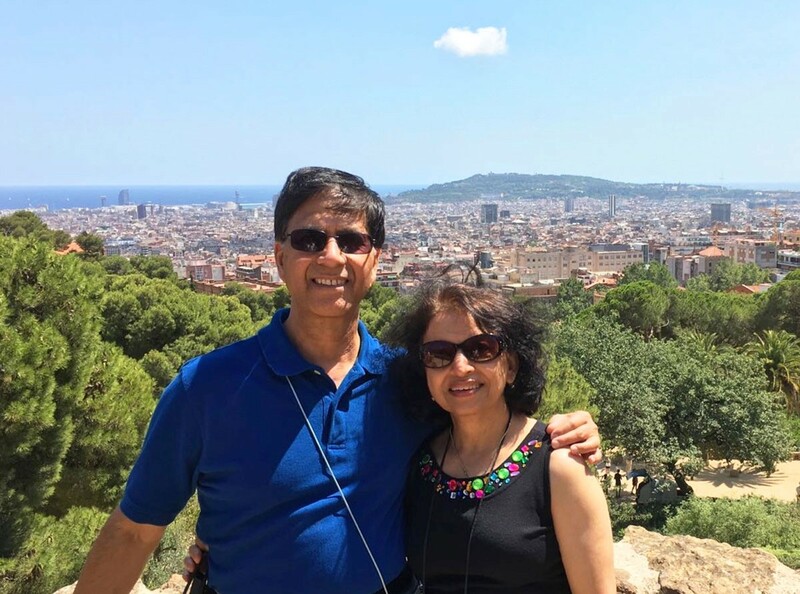 Kapil and Reeta Mehta snap a photo at the top of Gaudí’s Park Güell in Barcelona Spain in the summer of 2017. Susheela Denduluri, a Buzz resident who had an arranged marriage in the early ’70s in India, echoed this sentiment. Susheela grew up in a small town in India, at a time when matrimonial ads and dating apps did not exist. Her next-door neighbors were related to her future husband and suggested the potential match. Her future husband, Ramarao, along with his parents, came over to meet Susheela’s family at her home one day when Susheela was only 16 years old. Two days later, it was decided they would get married. “I was too young to decide anything at that time,” Susheela said, noting her parents made the decision for her. “We didn’t have that much discussion about it.” Because the families were connected through their neighbor, everyone was confident the match was a good one. Susheela said 16 was too young to marry and noted that she sees value in dating and getting to know someone. But, she said, at the end of the day, regardless of whether you meet through an ad, an app or through your parents, it’s ultimately all about being willing to make the relationship work.